An 18-year-old woman seeking to avenge the killing of her boyfriend pleaded guilty to stabbing the 15-year-old girl she believed was responsible 13 times in a brutal killing that was recorded on cellphone video and shown in court. Venus Romero Iraheta's guilty plea came on the one-year anniversary of Damaris Alexandra Reyes Rivas' death. 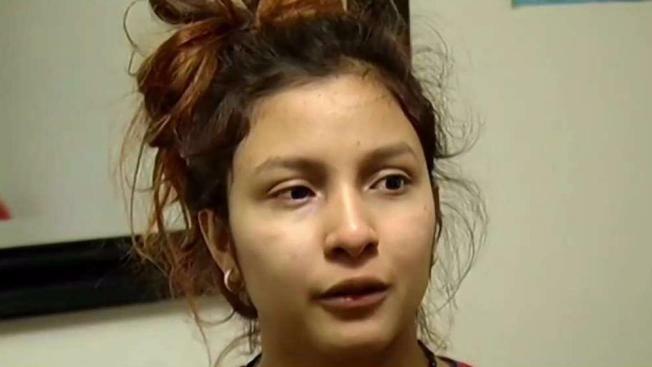 Iraheta is one of 10 young people charged in Reyes Rivas' death. Iraheta told investigators she stabbed the girl 13 times and sliced off a tattoo, according to testimony.